Having a decent digital multimeters is an absolute necessity if you are doing any types of electronics work (see Dave’s DMM Buying Guide). 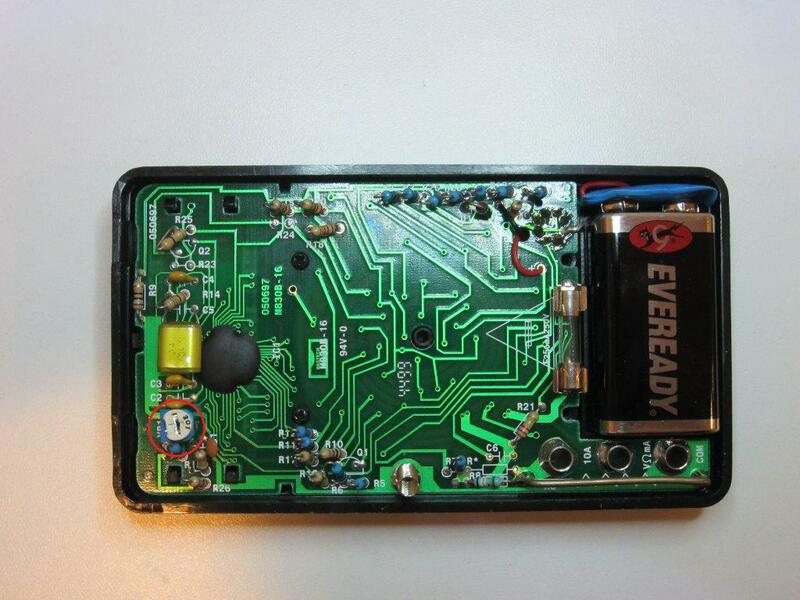 Those cheap sub-$10 multimeters are usually too inaccurate to be trust-worthy for any kind of serious measurements. That said, because of their affordability they remain quite popular. I usually would bring one of these when doing casual work in the field so I do not have to worry about losing it or damaging it. But since these meters’ are so inaccurate, even if brand new ones might be spot on their long term stability can not be guaranteed. My CEN-TECH multimeter for instance, had an error of more than 10% when it was just bought. So it is a good idea to calibrate these cheap meters at least once a while so that the measured values do not drift too much. Typically, you would need at least a calibrated 4 ½ meter to calibrate a 3 ½ meter. But if you do not have an accurate higher precision multimeter you can still calibrate your 3 ½ meter with a good precision voltage reference. 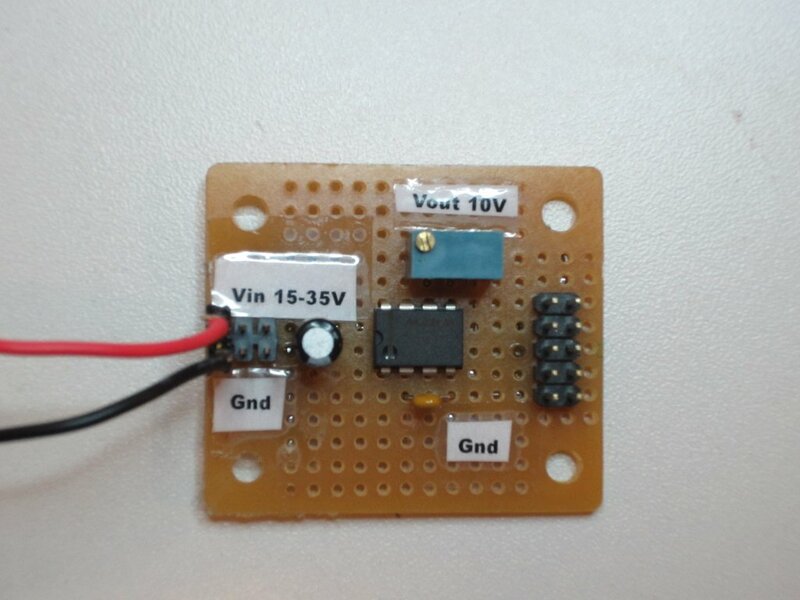 Maxim’s REF01 (a 10V voltage reference) for example can be used for this purpose. REF01 has three different grades. The E grade is the most accurate, which has a maximum tempco of 8.5 ppm/℃ and an initial error of ±30 mV. The next grade is the H grade, which has a maximum tempco of 25 ppm/℃ and an initial error of ±50 mV. C grade is the least accurate, it has a maximum tempco of 65 ppm/℃ and an initial error of ±100 mV. But even using the lowest grade as a reference, you can still calibrate your meter to be within 1% of accuracy. 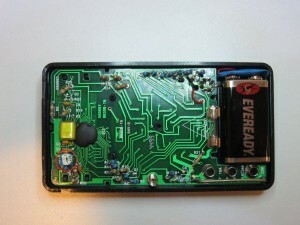 REF01’s are also quite inexpensive, you can get the E grade for less than $10. The following schematic shows the voltage reference circuit. The diode (1N4148) is placed along the power supply to avoid damaging the voltage reference should the power polarity be reversed. The L/C low pass filter reduces the noise introduced from the power supply. The 10-turn 10K trim pot is optional. You should only use it if you have an accurate 4 ½ or better resolution meter. In this case, the output voltage can be fine tuned via the trim pot. Almost all of these cheap multimeters rely on only a single trim pot for calibration (see pictures below). When using a 10V voltage reference, calibrating the 20V DC measurement range will give the best result. 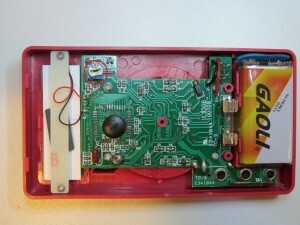 With the voltage reference connected to the input, adjust the multimeter calibration trim pot so that the reading is 10.0. Once the 20V range is calibrated, the other ranges should then be accurate as well. Of course, due to the tolerance of the resistors used in the voltage dividers before the ADC, the theoretical maximum error would be higher in ranges other than the one calibrated in. 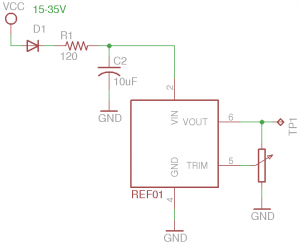 A quick question after reading and observing the above reference voltage project. I see an electrolytic shown near the input terminal location on th perf board in the picture but none is shown on the schematic. This appears to be an electrolytic cap and I wonder due to its location if it is there to act as an absorber to limit the inrush current to the reference chip? 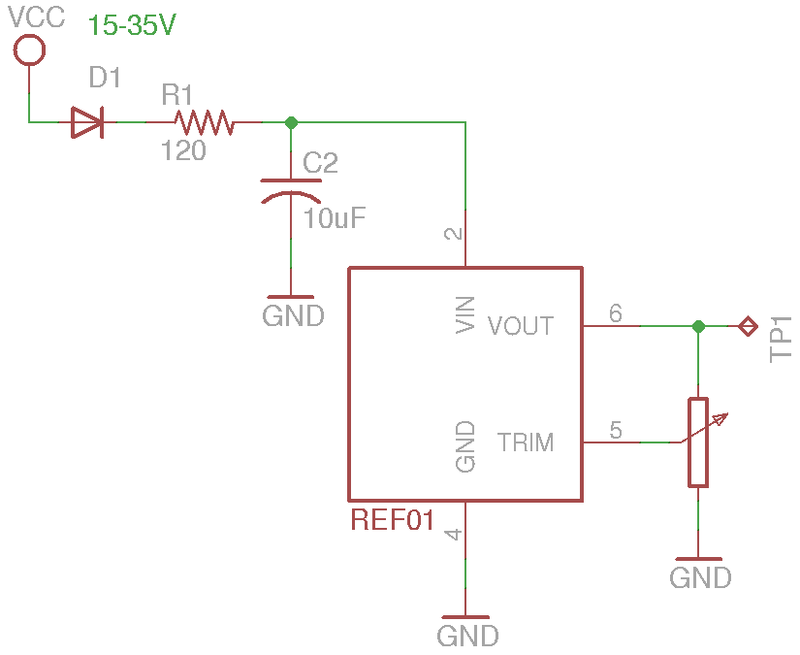 If so, what value would you recommend be used for this cap assuming a nominal WVDC of around 50 volts? Thanks in advance for your assistance with this request. That cap is just an additional filter cap, it is not required. I inspected a few of those red Cen-Tech meters. Solder balls and strings on the PCB, poorly soldered joints. I strongly recommend cleaning and resoldering where needed, and don’t use for high voltage or current, in spite of the 1000Vdc, 750Vac, and 10A ranges. Thanks for your excellent blog and videos, you have a new fan ! I think I’ll buy the REF01E and build a reference, but my question is how can I calibrate it to 10V. I have an old 6.5 digits HP multimeter (HP 3455A ) but it is uncalibrated too… actually, I want the reference to see how accurate is it. The +-30mV accuracy of the REF01E is not enough in this case. Unfortunately, to calibrate it to 10V you will need to have a calibrated meter. The weakness of this approach surely is that you end up needing a known accurate DMM to calibrate (or check) the suspect DMM. No mention of the 4 channel (2.5; 5.0; 7.5; & 10V) reference devices readily available on Ebay at typically less than USD10. In my multimeter some resistors have burnt.